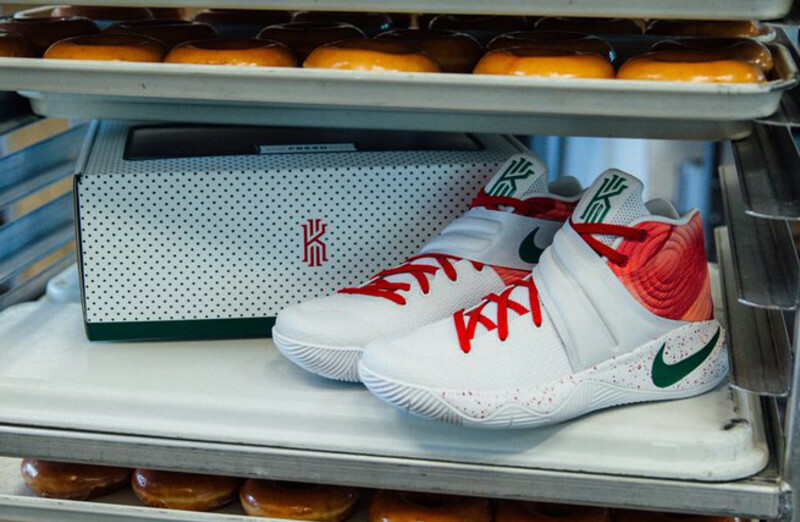 You read that right, this colorway of the Nike Kyrie 2 is inspired by the donut shop; Krispy Kreme. 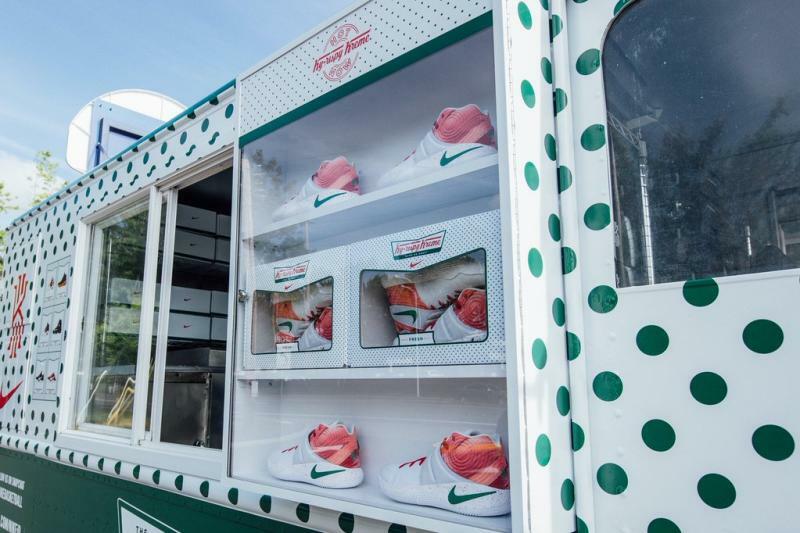 Using a white base that allow the bright crimson and green accents to pop right of the silhouette, this colorway captures the Krispy Kreme experience and even goes as far as putting this colorway in it’s very own donut box inspired packaging. 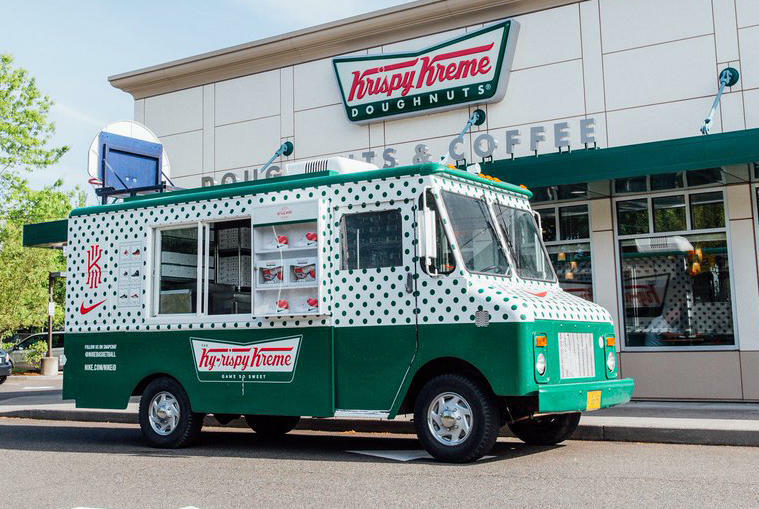 Available only on a ‘Ky-Rispy Kreme’ truck that has stops planned across the country including Cleveland and Brooklyn, this colorway is more than a sneaker, its an experience. 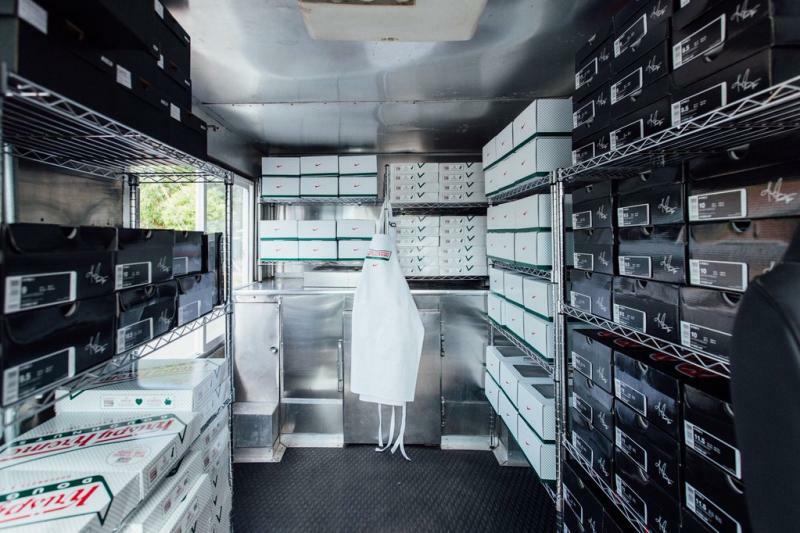 Stay locked to WearTesters.com for any updates regarding the ‘Ky-Rispy Kreme’ truck and Kyrie 2. Best donuts ever. Way better than Dunkin’. Dunkin is good, but trash compared to Krispy Kreme. When they got that ‘Hot Now’ sign up, you gotta stop. This is the funniest colorway idea I’ve seen.